You and your four-legged friends can beat the summer heat together at Rummy's Beach Club. Both owners and their dogs can take the plunge and swim together privately in a custom-built canine pool at the outdoor facility in Spring. 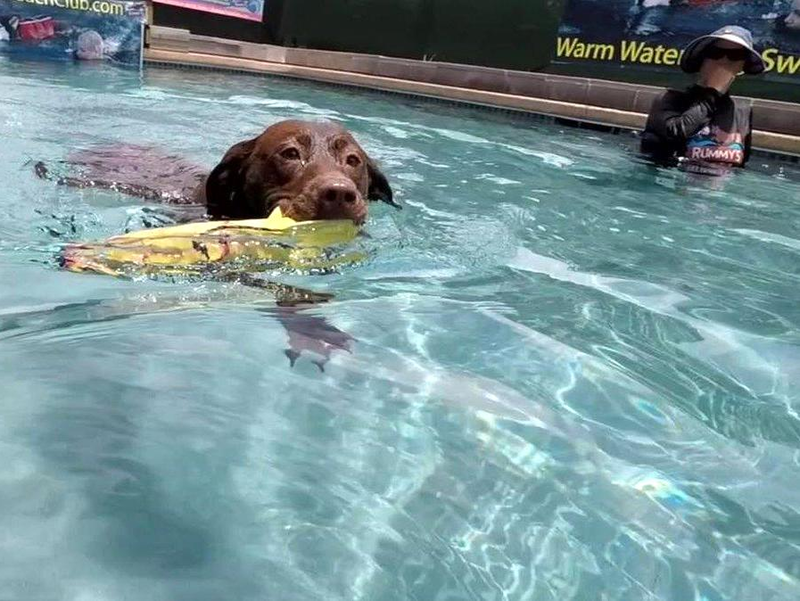 Whether your dog is a first-time swimmer or a pro, Rummy's offers a variety of activities including swim lessons, warm water aerobics, dock jumping, and diving. Every Rummy's visitor receives underwater photos and a video of their pup in action, free of charge. As well, the pool is heated and covered with a custom designed, air-tight pool dome so you can swim with your dog all year long.